I’d love to see a yearly breakout [of your savings rate] sometime to see how it changed over the years. I’m guessing you were at a higher savings rate at the end in your largest earning years and as you had the mortgage paid off. I thought this sounded like an interesting proposition, so I decided to give it a go. Little did I know it would turn up some other fun insights. Thankfully I have 22 years of Quicken data to rely on. I didn’t want to go back that far plus I wasn’t as good at tracking everything in the first few years (accuracy might be an issue then). So I decided I’d go back 20 years and calculate my savings rate by year to see what might pop up. Just for perspective, 20 years ago I had been married five years, we had no kids, and we were living in Nashville. I ran Quicken reports and simply took “Income minus Expenses” for each year to see the amount I saved. One note about the results: The income numbers I came up with are not 100% accurate. They reflect capital gains as well as things like income tax returns, etc. I tried to sort them out but they were a mess some years and it would have taken me quite some time to do. Plus this gets us into the ballpark of reality and that’s good enough for these purposes. Just so we’re all on the same page, “savings rate” is the percent of total income that you save (i.e. you do not spend it). This is available for investing, which then propels your net worth. If you want more specifics, see How to Become Financially Independent. I made a guess in the original post and said we had a 30% savings rate. I wasn’t far off. We generally had a better savings rate near the end of the period — when my income was at its peak due to both my career and our rental units. The dip in 2004 and 2005 was because we had committed a good amount of funds to a charitable project. Through these years, my two biggest expenses by far were taxes and giving. Our annual spending without taxes and giving over those 20 years averages out to just over $50k per year. Two reasons we were able to spend so little were 1) we had our mortgage paid off (our last payment was in November 1998) and 2) we lived in low-cost markets. The gap between our income and spending was enough to allow us to do multiple things at the same time, including paying off debt, helping others, and saving/investing. I think I maxed out my 401k every year during this time. Too bad I made some mistakes here too which slowed down our net worth growth. Both the income and giving numbers were impacted in a large way by my former blog. It was quite successful in many years and my commitment then was to give away all the revenues from it. Overall, the combinations of a strong income and decent savings rate invested for growth and then income enabled us to retire early. I love it when a plan comes together! So, those are my thoughts. Anything you’d like to add? I changed it to 22. I started Quicken in 1994, though I had some data before that on spreadsheet. A 30% savings rate is very good, you are probably in the top 10-20% of most people! I have a post coming up about my retirement budget (with details) so stay tuned! My mentality hasn’t changed though and I’m still “frugal” (though trying to lighten up). Ha! That’s solid over a 20 year period and goes to show the fruit that consistency bares! I’ve never calculated my savings rate, but it would be interesting to see what it comes out to and how it has trended over the last 10 years. Just to be clear though, is your denominator after-tax income or before? Because tax can be quite a significant number and an unnecessary variable as income / tax brackets change over the years. Denominator is before tax income (gross income). Gotcha. When I calculate mine I might look at it both ways and see if I can tease out the impact of increased tax throughout the years. I presume it’s a fairly big impact on the savings rate as the tax bill can be pretty significant. I do everything as gross since we made a commitment years ago to give away 10% of our gross earnings. … denominator after-tax income or before? I was wondering the same thing, but saw tax as an expense. I read that as savings rate is off of gross, which is very impressive! Very consistent savings rate. It just goes to reiterate that sticking to it is key. 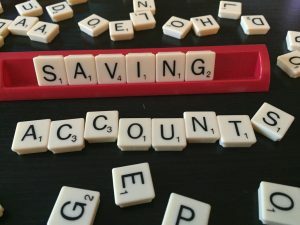 Do you consider things like mortgage principal as savings? For the record, I didn’t have a mortgage most of these years. I believe we paid our last full mortgage off in late 1997/early 1998, though I’d have to check my records to be sure. It was certainly around that time. So if the question is whether I would count mortgage principal as savings or not, I think I would. I basically classify cash flow into three buckets: save, spend, and give. So of those three, mortgage principal would most likely fit into “save”. Mortgage interest would classify as “spend”. Having your mortgage paid off so early was a huge help in achieving your goals! And great savings rates, especially since they are off gross income. I’m looking forward to seeing how that’s changed now that you are retired! Do you have any tension between saving and giving? If so, how did you settle that? 1. This is another area where growing your income is so vital. Because we had a large and growing income, we were able to save, give, and spend without much compromise on anything. 2. That said, spending/saving and giving always have a tension because if you’re giving, you’re not able to do either of the other two with that money. We solved the issue by deciding up front that we would give 10% of our gross income. That would always come off the top. Anything else could go wherever we wanted. Each year we would add to the 10% and some years significantly (like 2004-2005 above). Then we would save/spend the rest. One thing I notice with this post is that your savings rate doesn’t have to be stagnant. It can fluctuate over the years, and that’s okay! It sounds like you prefer calculating savings rate pre-tax, rather than post-tax? I know some people debate about the proper way to calculate it. Your savings rate each and every year is pretty darn impressive, but I think the most impressive part is being able to stay that disciplined over such a long period of time. It shows that you have truly internalised good financial habits. Looking forward to the post on your retirement budget. Paying off your house greatly increases you ability to save. My mortgage payment was $1500 a month, very reasonable and pittance to some people. Yet when you are saving $1500 a month instead of pay off a mortage is gives you a whole new sense of independence and freedom. You are saving $18000 a year… I paid mine off in 2012 and have loved it ever since. Very impressive saving rates, ESI. The last 10 years our household has been above 50% each year, but before that breaking 30% was a challenge. Consistency plus time makes wealth. And it’s great to balance that out with giving too. I have never really figured out what percent of my salary I save a year I would like to mention that I have maxed out on my 401K/403B since 1992, In 1992, the most you could contribute $8,728.00/year no catch up provision available. The amount you can contribute has gradually increased over time. Now you can contribute $18,000 with the +50 catch up provision of $6,000 more. I have not always been able to utilize the catch up provision. I have also periodically contributed to a Traditional IRA since 1986. I I have never qualified for a Roth IRA because of the income limit. I also am unable to deduct Traditional IRA because the income limit. For charitable giving, I utilize a donor advised charitable gift fund. With the gift fund ,you can contribute money which you can invest in diversified mutual funds. The money then continues to grow tax free. Grants can be given to my charities from the appreciated contributions. I receive and annual statement of my contributions and the grants. Interesting to see how you savings rate is quite stable and generally high throughout the years. This indicates a reflective behavior towards saving regardless of what your family situation was throughout the years. You remained in he driver seat! Interesting read. we are similiar in age…wife and I could probally retire in the next 2 years. That said my biggest worry is health care especially with teenagers in the house. How did you get around the healthcare costs, I’m guessing you just ponied up and paid a HMO or did your company provide full medical ? I’m actually working on a three-part series on that issue right now which will run at the beginning of June. We actually joined a health sharing group and it’s worked out well so far. It’s really cool to see so far back. I just have 3 years of data but your collection is actually representative! Good job on keeping everything so up to date all these years.